What is The Nore Vision? First and foremost, The Nore Vision is an evolving initiative. To date, The Nore Vision has been a consultation process funded by Kilkenny LEADER Partnership, Laois Partnership, North Tipperary Development Company and South Tipperary Development Company through LEADER funding under the Rural Development Programme 2014-2020.
Who is The Nore Vision? The Nore Vision is ‘you’. It is every stakeholder who has participated in the consultation process, sharing their hopes and ideas for the future of River Nore and its tributaries, whether an individual, or as a representative of a group, organisation or agency. The Nore Vision is overseen by a voluntary steering group with members drawn from the community, development organisations, local authorities and statutory agencies. The Nore Vision process: From October 2017 to March 2018, over 200 people participated in consultation workshops for The Nore Vision including residents, landowners, community groups, development organisations and government agencies. The Nore Vision consultations revealed that while people, groups and agencies have a range of perspectives and priorities when it comes to the River Nore and its tributaries, there is a great deal of common ground when it comes to their ‘Vision’ for the future. The Nore Vision report: This report brings together the contributions of all the stakeholders that participated in the consultation and presents their collective aspirations and ideas for the future of the Nore and its tributaries. It also reveals the extent of people, groups, organisations and agencies working on matters related to the Nore. The consensus that is documented in this report from around the catchment and across interests is a valuable outcome of the consultation process. This is summarised into the five priority themes of ‘The Nore Vision’ towards the end of the report. This is the statement of the shared aspirations of stakeholders for the future of the River Nore and all of its tributaries (the River), the land that drains into them, and the people who live and work there. It sets out the future that the participants in the 2017/2018 consultation process for The Nore Vision wish to see for the catchment during their lifetime. Reviewing The Nore Vision report: As a participant in The Nore Vision consultation process, you are now invited to read the report and provide feedback on the wording of that report using a copy of The Nore Vision Feedback Form. Please bear in mind when making your feedback that consensus is sought on The Nore Vision. In addition to the report that is being reviewed, two supplementary documents are provided for your own information: one presents the interests and concerns of participants in the community workshops while the other gives those of stakeholders from development organisations and government agencies. Use it to help identify projects to either initiate or in which you could collaborate with other stakeholders. Use it to identify others with whom you might collaborate (e.g. for joint funding applications, river-related projects, educational awareness initiatives, etc) or from whom you may seek advice, funding or other resources. Make reference to The Nore Vision report in your funding applications, etc, to support the need for your work or your proposal, where it will serve to deliver elements of the Vision. The Nore Vision consultation process has been wide-ranging, thorough and independent; therefore, it provides evidence to corroborate the need and/or desirability of projects and initiatives that will help to realise the Vision. Is anything happening because of The Nore Vision consultation process already? 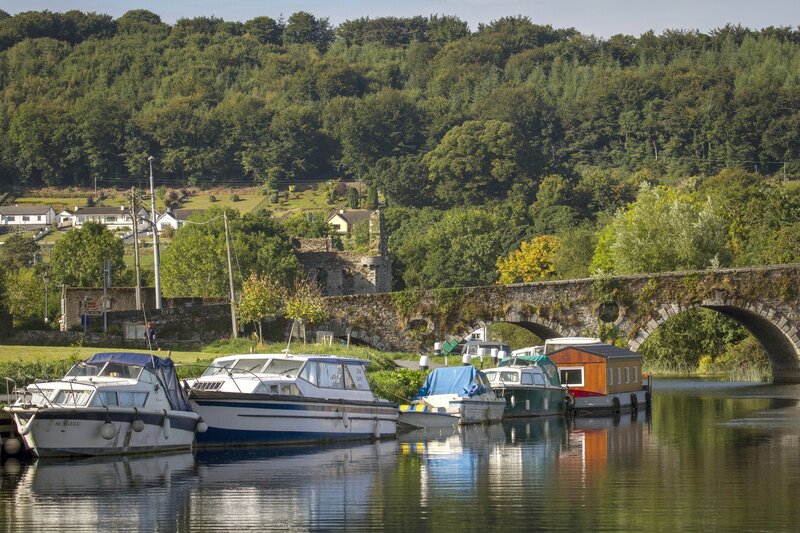 The Nore Vision Steering Group continues to work on a voluntary basis and is considering ways to progress from the consensus recorded in The Nore Vision report towards actions that will help to achieve the Vision into the future. The four Local Development Companies and their three Local Action Groups are finalising a joint funding application for a Cooperation Project to agree a governance structure for The Nore Vision and to begin implementing some of the actions identified during its consultation process, in collaboration with regulatory authorities and others. A number of submissions to public consultations have been made by Kilkenny LEADER Partnership based on The Nore Vision consultations’ output. So far, these include the Kilkenny County Development Plan 2020-2026, the Southern Regional Spatial and Economic Strategy, and Heritage Ireland 2030. The Waters and Communities Office (LAWCO) have been encouraging LEADER companies elsewhere to use the model of The Nore Vision to consult with multiple stakeholders in other river catchments. The National Parks and Wildlife Service (NPWS) plans to help advise each group planning activities and/or works on the Nore and its tributaries through The Nore Vision framework. Kilkenny LEADER Partnership have applied for funding to integrate a range of riverside recreational and educational amenities along part of the River Nore in Kilkenny.